In Sierra Leone, SPRING tested integrated social and behavior change (SBC) approaches that can improve nutrition-related household practices and influence agriculture value chains. The goal was to increase access to diverse, nutritious foods among 1,000-day households (those with pregnant or lactating women or children under two years of age). provided us an opportunity for rapid learning over a short time. 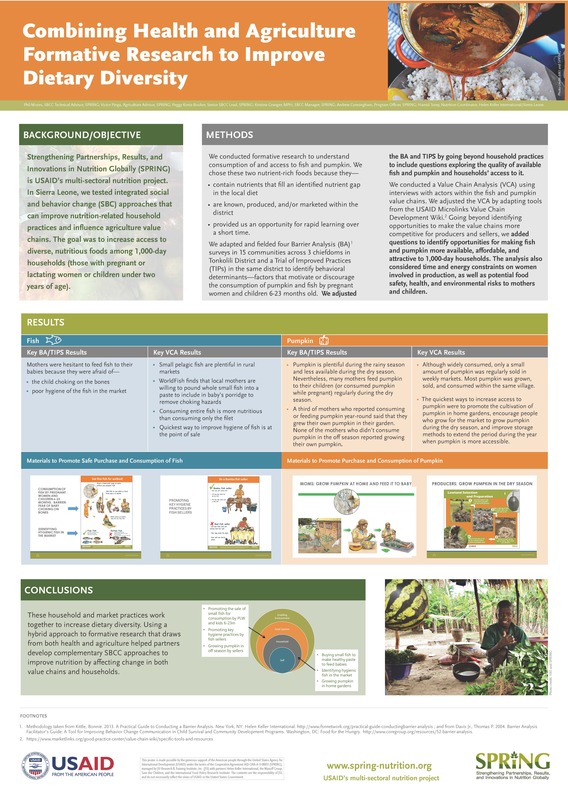 This poster was presented at the 2018 SBC Summit in Bali, Indonesia.